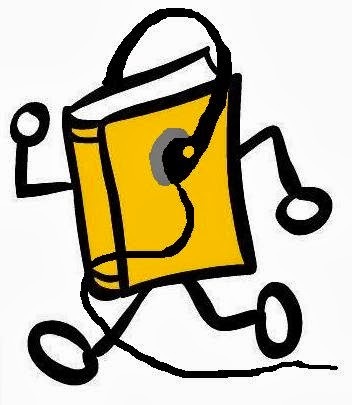 A Foodie Bibliophile in Wanderlust: Audiobooks are expensive. Here are some ways to bypass that expense. Audiobooks are expensive. Here are some ways to bypass that expense. Living 42 miles away from my job for seven years made me an expert in all things audiobooks: listening to them, acquiring them, and certainly what makes for a good audiobook. I've also come to appreciate audiobooks for more than just listening to in the car. They are a great way to fill the time during tasks that involve little thought but prevent you from picking up an actual book and reading it: cooking dinner, doing the dishes, folding laundry, wrapping presents, etc. What I'd like to talk about today is how to acquire audiobooks without spending a lot of money (or, you know, any money) because, let's face it, audiobooks are expensive. Now I realize that not everyone's library is as wonderful as mine. My town's library -- shout out to the Canton Public Library, yo -- is the busiest single-branch library in the state of Michigan and their circulation rate is very high. It is always busy and is a centerpiece to our community. I have said to my husband many times that I never want to move because I love the Canton library so much. Anyway, their audiobook collection is quite extensive and very often if they don't have a book you're looking for, you can request it and they will acquire it. 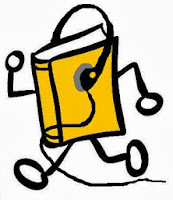 Many libraries have assembled quite a a collection of e-books and e-audiobooks for download onto your mobile devices. And if your library is anything like mine, this collection is growing! If you haven't become familiar with Overdrive Media Console, this is basically the free version of Audible and allows you to download audiobooks but for a limited time, you know, just like you were checking out a physical book from the library. My town's library has an agreement with a few libraries in the area that you can borrow books with your Canton library card. In fact, I frequent the Plymouth District Library on an almost weekly basis due to the fact that it's on my husband's way home from work and they have a different selection of audiobooks to choose from. I don't know if or how this works in other states, but in Michigan we have an awesome system called Michigan E-Library where you can request books from any library in the state and they will send it to your home library - for free. Yes, it takes longer to get the books because you have to wait for them to be sent in the mail, but if you're not in a big rush to get a particular audiobook, this could be a great way to prevent yourself from having to purchase an Audible membership if you don't want to pay $14.95 a month. As much as I love Audible's quick and easy interface, I would personally rather put forth a little bit more effort to get them for free. During the summer, this website allows you to download 2 free audiobook titles per week to your Overdrive Media Console: one YA, one classic, and both books are paired together because they have similar themes. For example, one week the books were The False Prince by Jennifer Nielsen and The Prince and the Pauper by Mark Twain. You can even sign up for a text message alert that will remind you every week to go on the website and download the new titles. I want to thank Audible for offering me 2 free audiobook downloads to try out their service. For people who live in areas where going to the library is inconvenient or their selection isn't the greatest, I say without hesitation that highly recommend Audible's service. But for me, my library is conveniently located with many resources for acquiring free audiobooks at my fingertips and so I prefer to go that route over a $14.95 a month membership fee.